When Alba Berlin hosts Morabanc Andorra on Tuesday, 8 pm, at Mercedes Benz Arena, two teams face each other the first time in history. Two teams which hardly anybody would have expect in the semi finals of the 7days Eurocup, two teams that can’t lose much and win a lot. One would be rich, if one had bet on a semi final Alba Berlin vs BC Andorra. Climbing up to the second last stage at the 2nd tier basketball competition in Europe is a great success for both teams. More pressure is on the Berlin side, though, but they have proved already, that they can cope with it. Especially in the quarter finals, where they lost their home game vs Malaga, stood with their backs at the brink of the abyss, and came back with an impressive 101-81 road win. It would not come at much surprise, if both teams defend their home court and the serie will be decided in the 3rd game. Even as Andorra has got a clean record at home. Due to the home court advantage in game 3 and more European experience, Alba Berlin should be the favourite, but this does not mean much in a dor or die game. Andorra? What? Who? Where? Although right in the middle of Europe, the country, exactly the Principality of Andorra, is not well known. Unsurprisingly, as it is the 6th smallest territory in Europe with 468 m² with the 5th least population with approx. 77.000 inhabitants. The Principality is co-represented by the French president Emanuel Macron and a Catalan catholic bishop, but both without real power. The country is governed by an elected parliament. Andorra has got a reputation of being a tax haven and a paradise for letterbox companies, a kind of “Caymans of Europe”. Not a member of the EC, hundred thousands of tourists take the chance to buy expensive whisky and cigars duty-free, but also go there for the great skiing resorts and for hiking. In regard of average elevation, Andorra is the highest country in Europe by far (around 2.000 m average elevation, #6 in the word) and so one expects, that it is difficult to go there, but as more than 10 million tourists can manage it every year, it should not be that hard. The country is well connected with the international airports in Barcelona (Catalonia) and Toulouse (France) by train, bus or a three hours car ride. Here it comes to our headline: Alba Berlin has to climb the top (the highest capital in Europe) on their way to the top (of the Eurocup). Now to something completely different … Basketball. Although facing the clubs 50th anniversary next year, Básquet Club (BC) Andorra did not leave much footprints on the European basketball map so far. After a short stint in Spanish ACB and Korac Cup between 1992-1996, the club participated mainly in minor leagues. The return to the 1st tier, i.e. 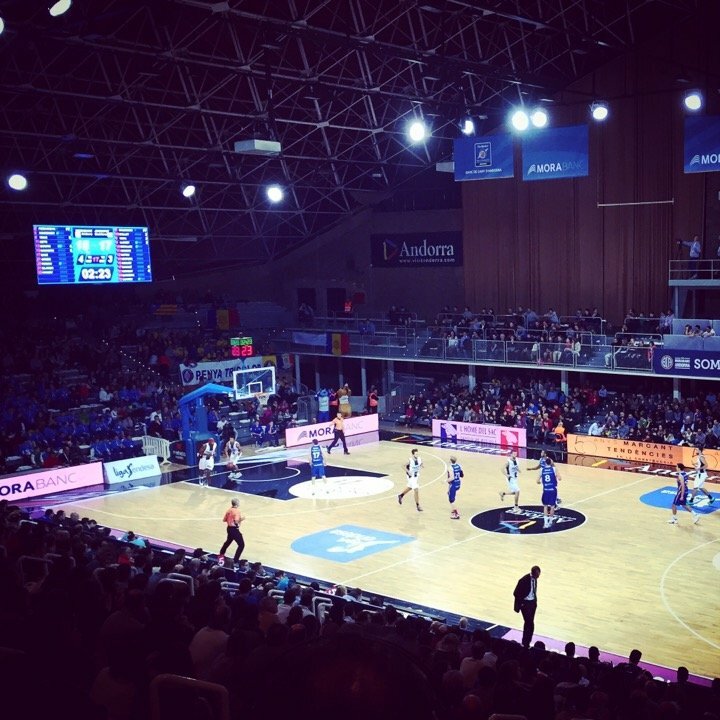 Spanish ACB, in 2014 is strongly linked to the sponsorship of the Mora Banc Group, that mainly pays for the party and gives the club its name for marketing reasons as “MoraBanc Andorra”. Out of an approximate annual net income of 40 million Euro the bank institute can afford it. Alba Berlin, founded 1989, is going to celebrate its 30th anniversary this autumn. They are playing continuously in European competitions from the first season on. They won eight national titles, seven in a row around the turn of the millenium, and achieved nine german cups. Their reputation through Europe is based on winning the Korac Cup vs Stefanel Olimpia Milano, that dates back to March, 15th 1995. They added a Vicechampion title in the Eurocup in 2010, when they lost to Valencia in the final of Vittoria. For more than 20 years the club plays in the 1st (Euroleague) or 2nd (Eurocup, ULEB Cup) European league and is well known through Europe. In Andorra, 42 year old hot blooded Basque Ibon Navarro is responsible for the the team’s success. Although relatively young he has got experience in professional basketball for little less than 15 years, since 2014, when he was promoted from assistant coach of Baskonia, as a head coach. In his very first year as head coach, he made it to the Top 16 of the Euroleague. His second international participation in the Basketball Championsleague last season ended at 3rd place, winning against german rival MHP Riesen Ludwigsburg. To explain coach Aíto Garcia Reneses to a basketball fan is a bit like carrying water to the well. Legend would not describe him well enough. One of the best European coaches and probably the best in developing young players. At age of 70 he looked for a new challenge and moved to Berlin, where he found the perfect environment for his ideas and a management with the same focus on developing young player. Altough he did not won a title so far – lost the championship in game 5 last year to Bayern Munich -, he influenced the club very positive. With former French national team player Andrew Albicy (28) and Brazilian international Rafa Luz (27) Andorra has got a perfect pair of “learned” point guards. Especially Albicy is absolutely important for the team’s success, both as a volume scorer and as the one who pulls all the strings (5.6 assists). He is very quick, hard to stop and draws 4 fouls per game. Albicy is the most effective player of his team. Luz is a good defender and throws in experience at Euroleague level. They leave limited time for Guillem Colom, member of the Andorran national team and younger brother of ACB experienced Quino Colom. At shooting guard Andorra starts with Dylan Ennis (27), a Candian with Jamaican roots and Serbian passport. Average at shooting (42% 2p; 29% 3p), but excellent, when it counts to defend the opponents top guards. Nevertheless, Ennis is the top scorer of the team. He is very athletic and can overpower his defenders. Italian Michele Vitali (27) backs him up in his first season out of Italy. A role player who had his best score (12 points) when it counted in the quarter finals. After Stefan Peno being out for the rest of the season with an injury and late addition Derrick Walton being not eligible for the Eurocup, Alba Berlin has got only one natural born point guard, NCAA champion Peyton Siva (28). He is at the top of it’s form right now, after he has missed several games due to injuries and struggled to come back. He is not more or less than the MVP of the Eurocup quarter finals and the Eurocup assist leader (9.1). The match-up Siva vs Albicy could decide the whole game. Siva has got help from two combo guards, Icelandic national team player Martin Hermannsson (24) and german national team player Joshiko Saibou, who just turned 29. Saibou was one of the keys for the success against Malaga in the quarter final. He doubled some of his numbers from the Top16 to the Quarterfinals (4.8 -> 10 pts / 4 -> 10.3 pir) and – most important – found his shooting touch. After shooting 0/11 from downtown in the Top16 round, he hit 80% in the quarter finals. Saibou is a very energetic player in defense and always throws his heart on the floor, what makes him important for the team. Hermannsson is the first point guard backup when Alba has to play without Peno and Walton, but can take the shooting guard spot as well. So he took less shots in the quarter finals in favour of sharing the ball (7 assists). He has got a very good floater at hand. Siva and Hermannsson were good for combined 15 assists in the quarter finals and lead this category. There is limited time left for strong, german guard Kenneth Ogbe (25). Czech national team player David Jelinek (28) took the team on his shoulders and carried it through the decisive game 3 of the quarter finals vs ASVEL Villeurbanne, shooting 4 of 6 from downtown, what made him the most effective player in this game. Andorra suffers from the injury of the us-american forward David Walker, who was injured at the first pro station of his career, just a few days ago. So the coach often plays with three guards at the same time. Power forward John Shurna (28) is a very effective scorer, shooting 63% inside and 52% from beyond the perimeter. He is a so called hustle player, who is fighting for every ball. His backup Reggie Upshaw (23) is very well know from his impressive season in Germany (Walter Tigers Tuebingen), but is quite for away from his numbers at this time. But he is still able to attack the board effectively. 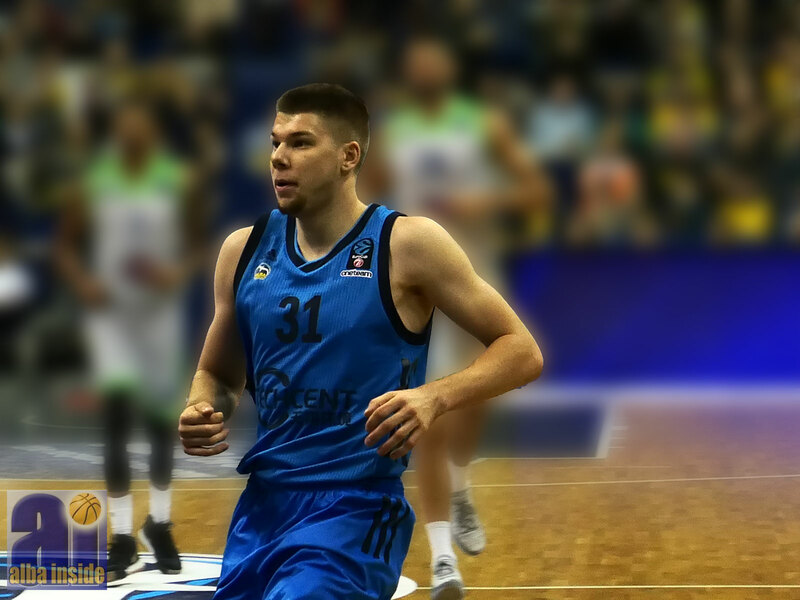 For Alba Berlin starts Lithuanian national team player Rokas Giedraitis (26) at the small forward spot. He is the man for the big shots in crunch time. The teams best scorer in the quarter finals (16.7 pts) was also the 3rd best of the Eurocup quarter finals. Team captain and two-time NCAA champion Niels Giffey (28) is very versatile and can play were the team needs him, is unselfish enough not to look at his stats line, but is ready to help the team off the bench, when help is needed. In the quarter finals he shot 58% from down town. Nobody is longer with the team then Giffey, who plays the fifth season in his home town. It is worth to have a look at 17 year old german talent Franz Wagner, who gets time from coach Aíto even in important games. The greatest german 2001 talent can defend guards very well, has got quick hands and is a very good shooter. 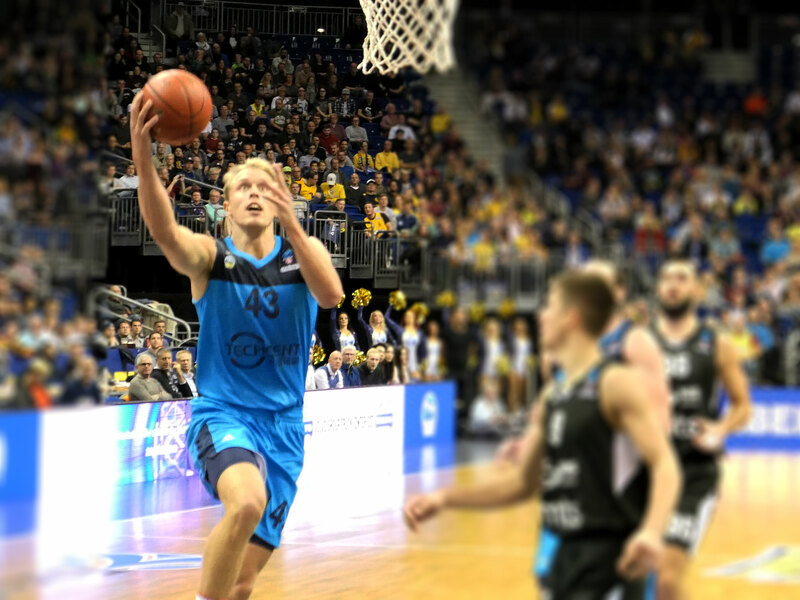 With 29 years, American forward Luke Sikma is the oldest player of Alba Berlin, most experienced and probably most important. The son of NBA hall of fame member Jack Sikma is one of the best point-forwards in Europe and organise the game from high post with a hiqh basketball IQ. Sikma has got the most assists of all big men of the Eurocup (4,3). Not THE best at any category, he is among the best at many, as well for the team as the whole Eurocup. Third at points and assists, second at PIR and best rebounder. One can’t let him stand free at the perimeter, as he is also dangerous from there. Young german talent Tim Schneider (21) is an excellent perimeter shooter (62 %), but does not shoot that much in limited play time (12 min per game). Two 7 footer protect the rim of BC Andorra. Moussa Diagne (25) is still not fully developed, as he started playing basketball only at age of 17, but he is improving from year to year. At quarter finals stage he was the best scorer for Andorra and their best rebounder. 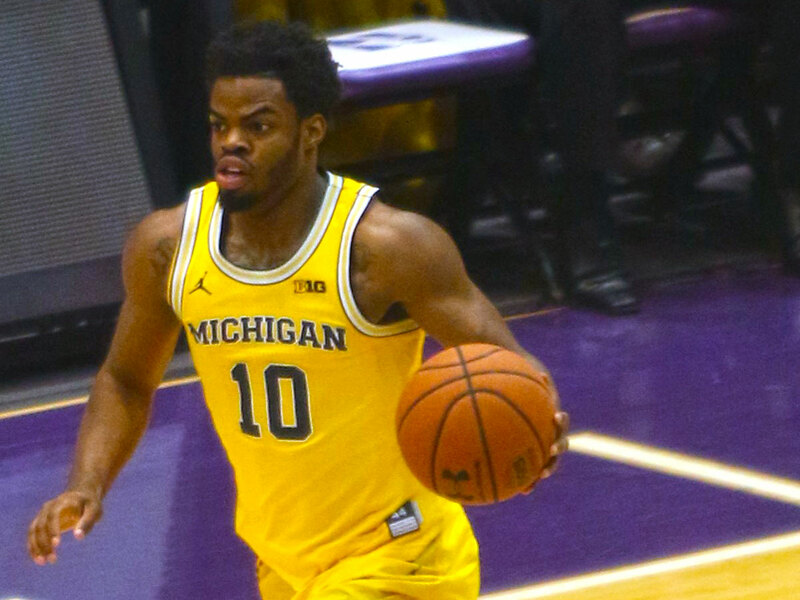 It is very hard to keep him away from the zone, where he hit 11/16 and draw more than 5 fouls per game. It is worth to invest a foul on him, as he makes only 2 of 3 from the line. 32 year old Jamaican veteran center Jerome Jordan with 2 years experience in the NBA was added to the team end of December. He can still help the team for 12 minutes per game. 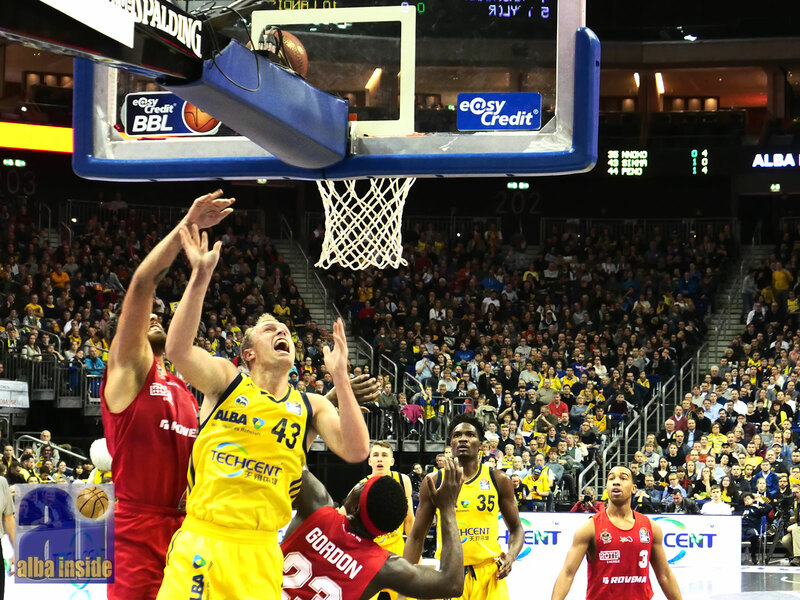 The center of Alba Berlin are smaller, but quicker and more mobile. Cameroon born Landry Nnoko (24) generally starts for Alba. He still has to adopt to the style of Coach Aíto, but is improving. He is a very strong player, who should be able to keep Diagne away from the basket, but struggles with his foul management sometimes and his free throw ratio (42 %). Johannes Thiemann (13 minutes) and Dennis Clifford (5:30 minutes) play their roles on the defensive end, sometimes the coach plays without any center to speed up the game. Both teams are the best of the Eurocup at the offensive end of the court. 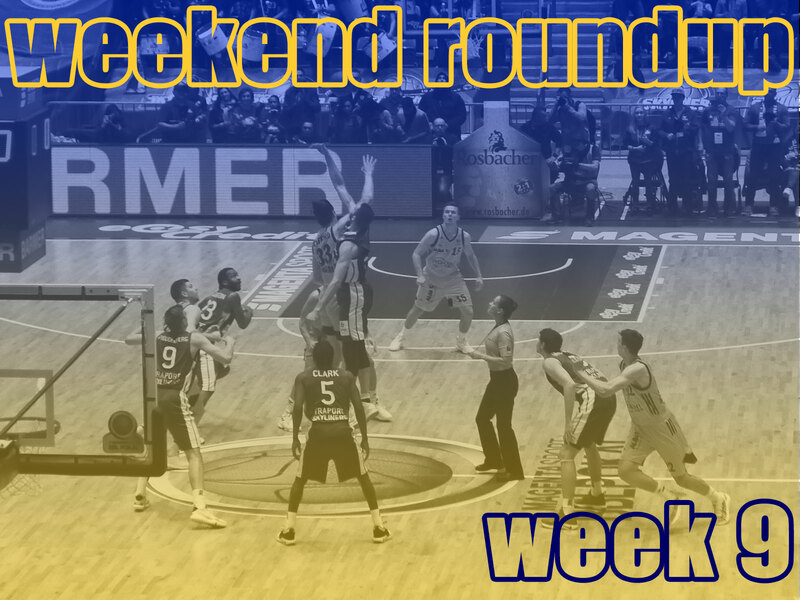 Alba Berlin scores 87,84 points per game (2. ), Andorra 84,42 points per game (4.). Both teams like to play fast. Berlin shares the ball very well and leads the Eurocup in assists per game (23), but they play also a bit more risky. What’s a great pass at one time, is a turnover at the other, what’s caused by the fact that they want to speed up the game and push the ball forward as fast as possible. They lose the ball 13.53 times per game, Andorra only 12,84 times. A pro on Berlin’s side is rebounding. They grab 31.5 rebounds and allow only 28.3 for the opponent. For Andorra this ratio is 30.3 / 30.2. What’s on the pros for Andorra is experience. There player are approximately 2, 3 years older than the Berlin player and have gone through such situations more often. Aito often uses the full roster with play time for all 12 player on the bench, Ibon Navarro often plays with just nine players, a fact that could be important if it comes to a third game. Maybe the fans could be a pro on the Andorra side. They have got a small arena (capacity 5,000), but it is very loud crowd. They have got a banner “Aqui juga un pais” (here plays a country), so it is national matter. And they are still unbeaten in their arena. 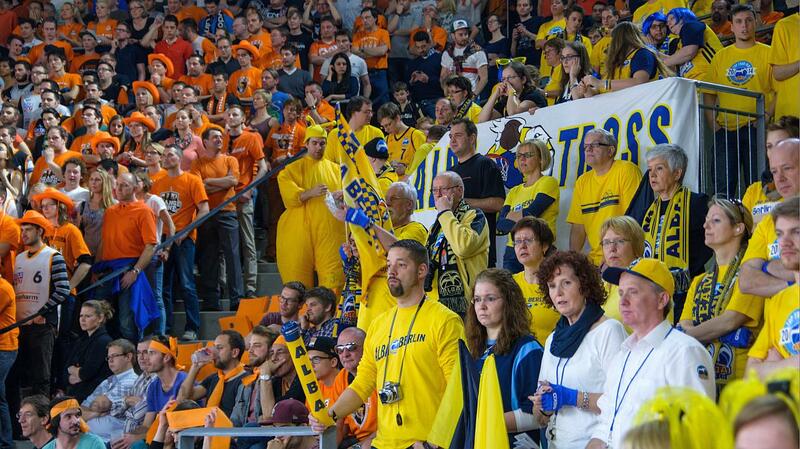 Alba Berlin has got a very modern arena with a capacity of 14.500 visitors, but only half filled. The fans are enthusiastic, too, but can’t such noise in this huge arena. The pressure is a bit more on the Berlin side, especially in game one. Andorra is far beyond the expectations and has nothing to lose, Berlin would be more disappointed if they don’t make it. Das 44. Saisonspiel kommt für Alba Berlin zur Unzeit. 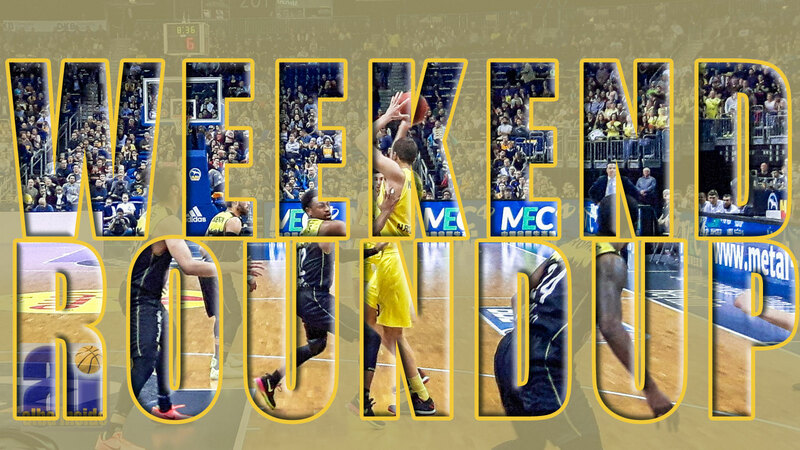 Mit einer sehr guten Haupt- und einer souveränen Top16-Runde hat sich ALBA Berlin bekanntlich für das Viertelfinale des Eurocup qualifiziert und trifft in der best of three Serie mit Heimvorteil zunächst zu Hause, genauer am Dienstag 19:00 Uhr in der Max-Schmeling-Halle, auf eines der großen Basketball-Teams Europas. Unicaja Malaga ist eigentlich Stammgast in der Euroleague und sieht den Auftritt im Eurocup nur als Zwischenschritt auf dem Weg dort hin wieder zurück. 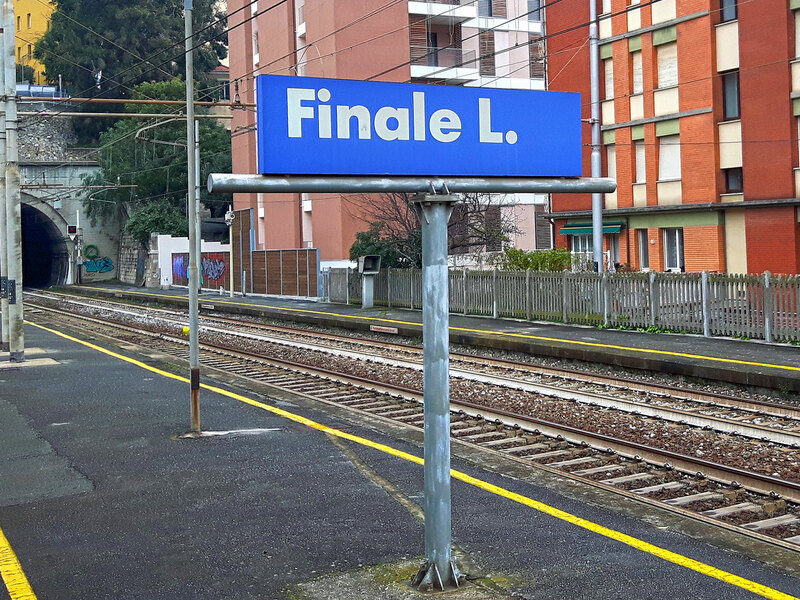 Beim letzten Aufeinandertreffen haben die Andalusier auf dem Weg zum Eurocup-Titel die Berliner im Viertelfinale eliminiert, das wollen die Hauptstädter in dieser Saison verhindern. ALBA Berlin kämpft am Sonntag in Bamberg um den Pokal. Guard Derrick Wilson Jr. aus Kaunas nach Berlin bis zum Ende der Saison. Alba Berlin empfängt Partizan Belgrad zum letzten Spiel der Top 16 des Eurocups bei dem es um mehr als die berühmte „goldene Ananas“ geht. Am Samstag, 20.10.2018, 20 Uhr, wird Alba Berlin, deren Spielweise der Ulmer Coach Leibenath mit „American Football“ vergleicht, zum ersten mal in der aktuellen BBL-Saison auswärts antreten müssen. Bei ratiopharm Ulm soll die bis jetzt noch weiße Weste in nationalen Wettbewerben keinen Fleck bekommen und die Punkte von der Donau entführt werden. Die Berliner, die nach dem Erfolg am Mittwoch im Eurocup beim 11-maligen französischen Meister Limoges CSP direkt über Paris und Stuttgart nach Ulm gereist sind, werden dabei weiterhin auf die Center Dennis Clifford und Johannes Thiemann sowie Guard Joshiko Saibou verzichten müssen. Die Gastgeber, die am Dienstag ebenfalls noch im Eurocup aktiv waren und gegen AS Monaco eine 65-75 Heimniederlage hinnehmen mussten, werden eventuell ohne Javonte Green nach einer Augapfelprellung auskommen müssen.